Sodium Hyaluronate with HPMC forms a lubricating shield on the lens. 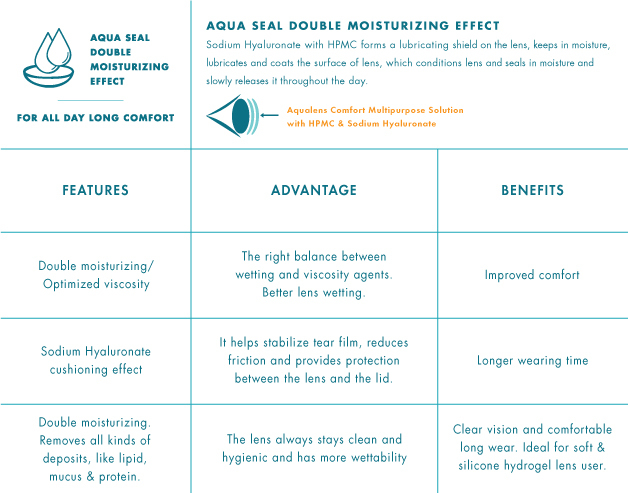 Keeps in moisture, lubricate and coats the surface of lens which conditions lens and seals in moisture and slowly releases it through - out the day. 1.Locks in moisture and retains it in dry environments. 4.Formulated for patients with dry and sensitive eyes.